Every day, you set a new record for getting it all done. 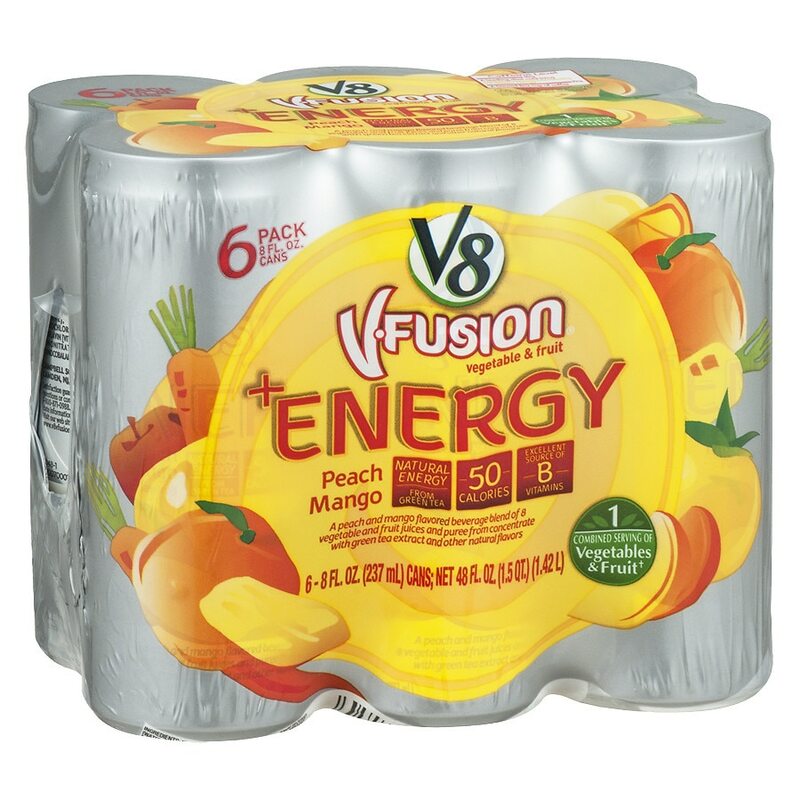 Refuel with V8 +Energy Peach Mango. Naturally powered by green tea and infused with hints of juicy peach and tropical mango, V8 +Energy powers you up V8-style. It's rich in B vitamins, contains no artificial colors or flavors, and provides a combined serving of vegetables and fruit in each can. The perfect go-to beverage for the perfect pick-me-up ... so you can be your best self all day long. Not recommended for children, pregnant or nursing women or people sensitive to caffeine.